Opponent must tell you which move he or she will use next. Confuses the target. Absol loses 10 HP to make a copy of herself. Comments : Absol usually appears when there is going to be a disaster. 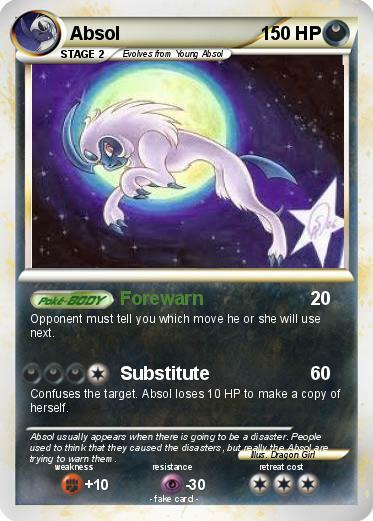 People used to think that they caused the disasters, but really the Absol are trying to warn them.